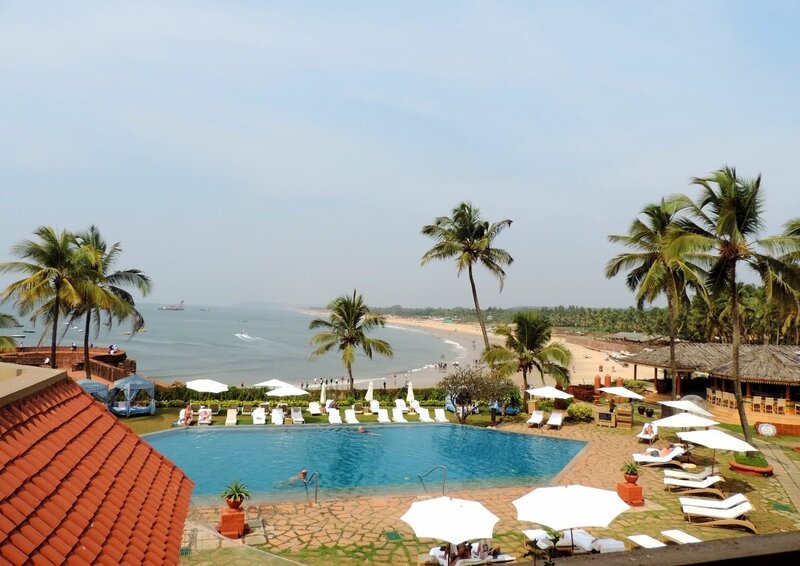 Reminiscent of a luxurious colonial Portuguese compound nestled in the hills, Vivanta by Taj-Fort Aguada oozes quiet tranquility and discreet but highly attentive service. Celebrate your once-in-a-lifetime experience at this spectacular property where the 16th century Portuguese fort and lighthouse add some history and an old-world romance to a conventional beach wedding. The Taj brand is the most loved and respected hotel group in the country so you can be confident that a wedding at VIVANTA BY TAJ will be a grand and lavish event. 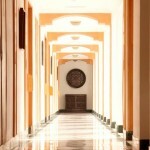 We at MWP are certain that you and your guests will be blown away by this spectacular and amazing ultra luxe property. 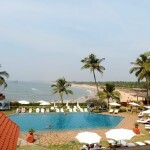 FORT AGUADA is a 5 star premium property that has the most breath-taking views of Sinquirem beach and Fort Aguada. Perched on a hillside, the resort is flanked by mountains, tropical gardens and a lawn with gorgeous views of the bay area beneath. 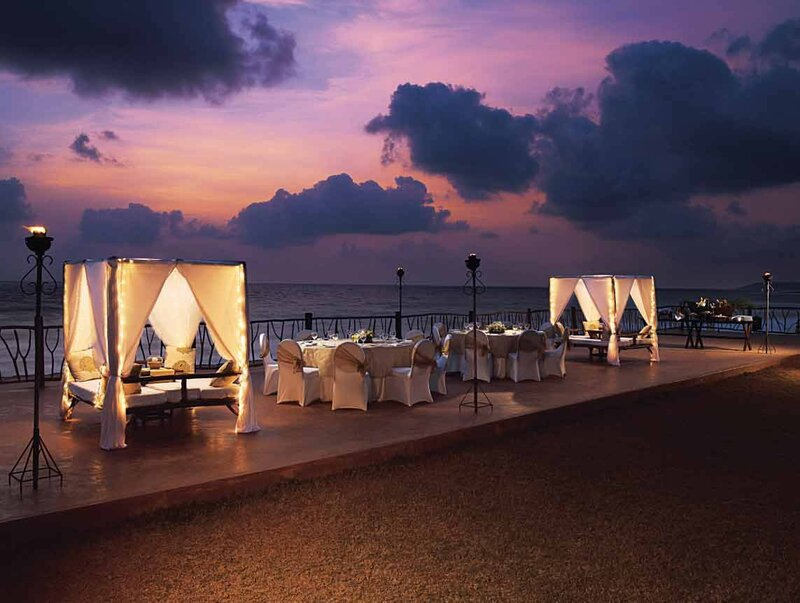 The property boasts of an unusual wedding backdrop as the historic dilapidated fort Aguada sets a regal mood. Make your wedding day the getaway of a lifetime at this truly extraordinary hotel that not only is a dream like wedding venue but also provides a beautiful escape from the everyday world. 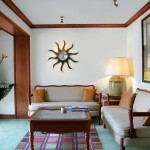 Few grand hotels seamlessly blend old-world charm and modern conveniences as well as Vivanta by Taj. 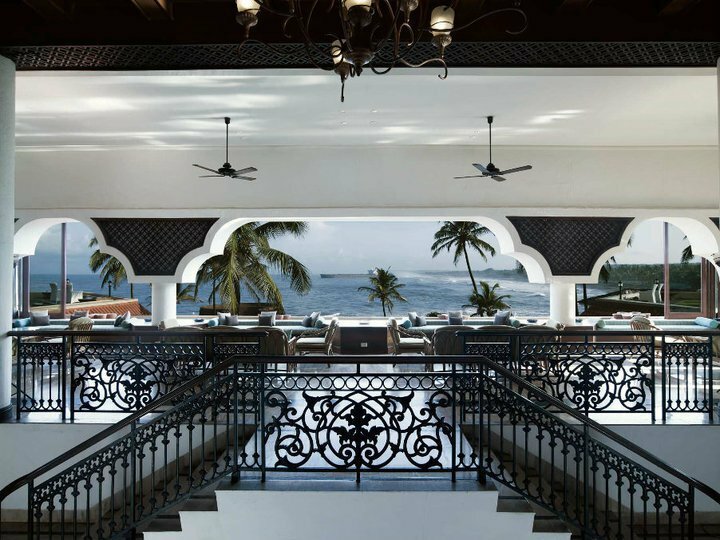 The decadence, luxury and glamour of this 145 room property with Goan-Portuguese architecture and panoramic views set the mood for the lavish ceremony to follow. Guests can relax in leisure amidst Balinese inspired landscaping which covers 42 acres of lush lawns and sprawling gardens. From intimate gatherings to traditional ceremonies to extravagant and whimsical themed galas, the Vivanta by Taj team can do it all. Ensuring your special moment is simply perfect, and leaving the bride and groom free to relax and enjoy it. 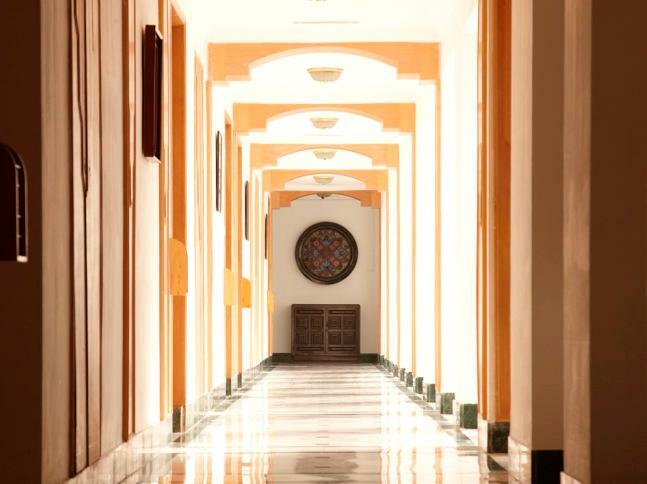 Your function at the 2400 sq feet ballroom is sure to reflect style, energy and elegance. On the technical front, soundproof partitioning provides multi-function capability. The music system includes wall mounted, high-powered cube speakers and sub woofers powered by independent amplifiers mounted on moveable racks. Microphones, mood lighting and remote controlled, pull-down screens and floor-concealed, audio/visual switch boxes, all ensure that Vivanta by Taj – Fort Aguada provides hosts with the latest and greatest technology that they can operate via a control panel for perfect adjustments during the event. The Ballroom can accommodate up to 200 guests in theatre style. A unique and ideally located hall measuring 747 sq ft and capable of seating 50 guests can be used as a pre function venue. Away from the main building, towards the cottages and with its own private lawn, overlooking the Arabian Sea this venue can be used for a small cocktail party or mehendi ceremony. The hall is octagonal in shape and has large French Windows to allow natural light. It can be equipped with a large screen, audio-visual facilities and telephone lines. 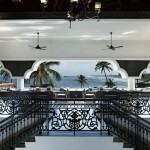 Bay View Point is an open air, 2 level venue which can accommodate 600 guests in style. With 10000 sq ft of lawns, overlooking the Aguada bay, this unique venue is ideal for your sangeet or wedding reception. This venue almost resembles the shape of a fish. 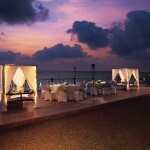 Fishtail has 4000 sq ft of well manicured and landscaped lawns overlooking the fort’s bastion and the Arabian Sea. 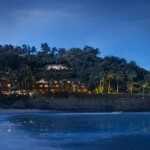 A picture perfect point at Vivanta by Taj – Fort Aguada. This banquet venue is easily approachable from the lobby. Sunset Point is an open air venue next to the Bay View Point. An ideal venue for small wedding ceremonies, cocktail parties and family functions. 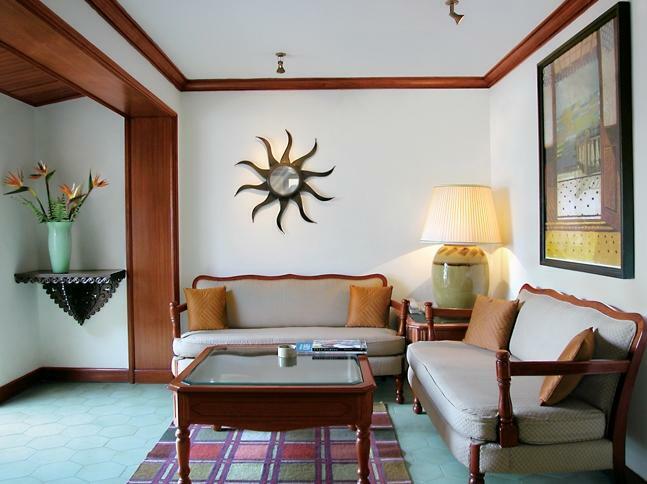 Charming and small, it overlooks the Arabian Sea.